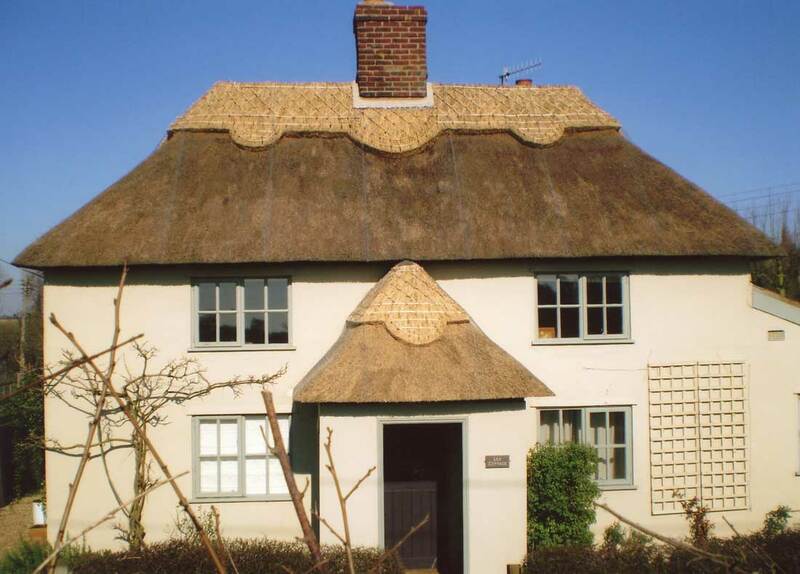 My family have been thatchers for generations and I was taught to thatch by my father 30 years ago. 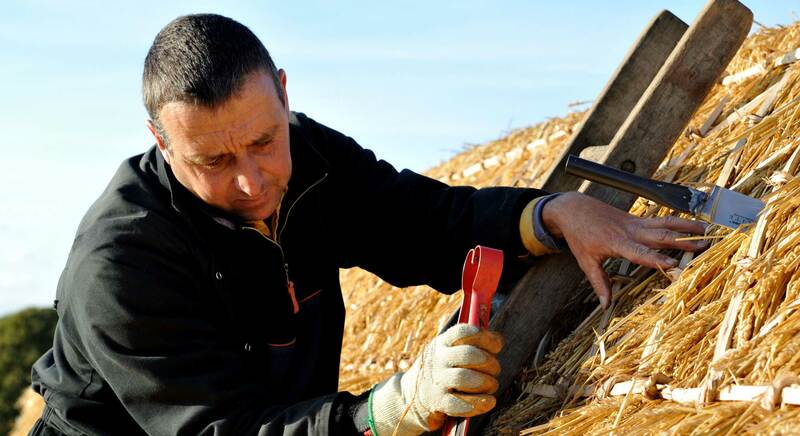 I use Norfolk Reed, also know as Water Reed, on the main roof and wheat straw for the Ridge. 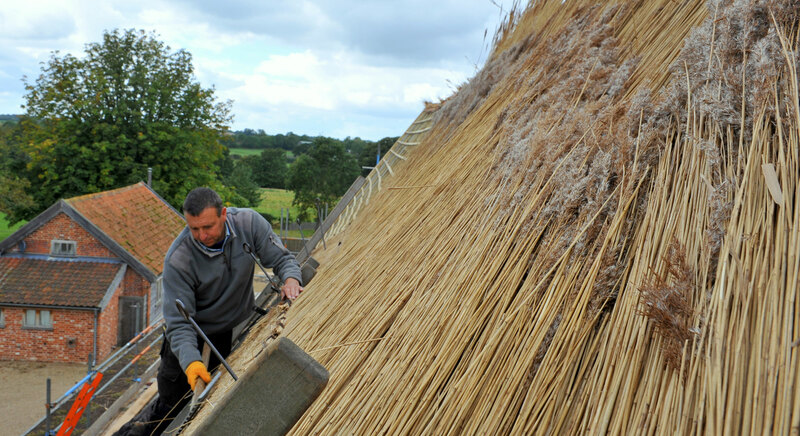 Norfolk reed has been used on thatched roofs for centuries as it is hard wearing and durable. My Reed is cut locally from the Reed beds of Dunwich and Walberswick. 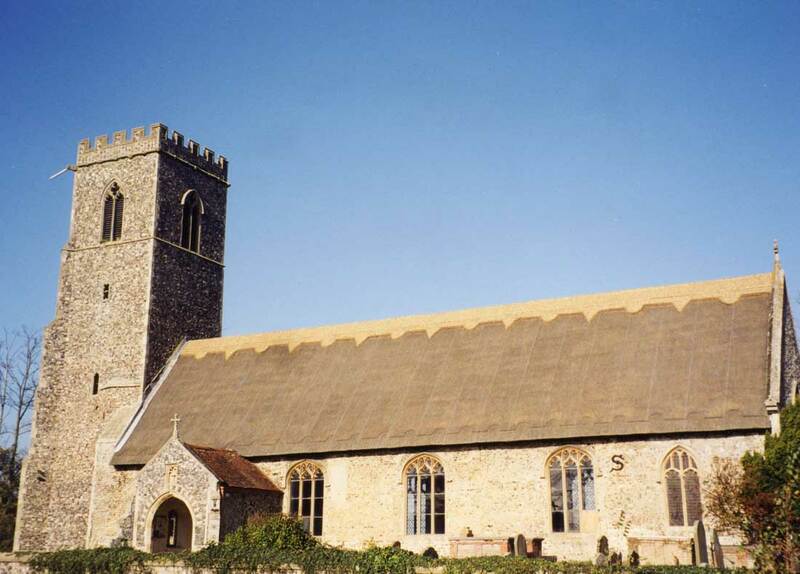 Over 400 hundred years ago, Rackham the Reed Thatcher started a family tradition that has so far spanned 14 generations, becoming one of the oldest family of reed thatchers in East Anglia. 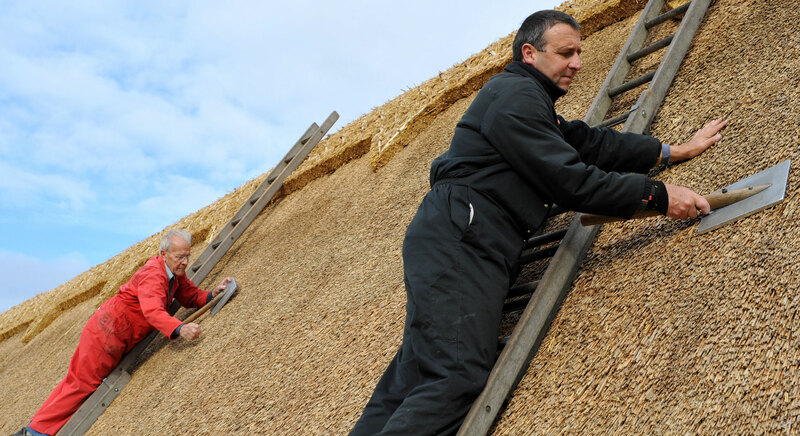 With thatching skills and knowledge passed down from father to son, my families' work can be seen throughout Suffolk villages on thatched houses, barns, shelters, boat houses and churches. 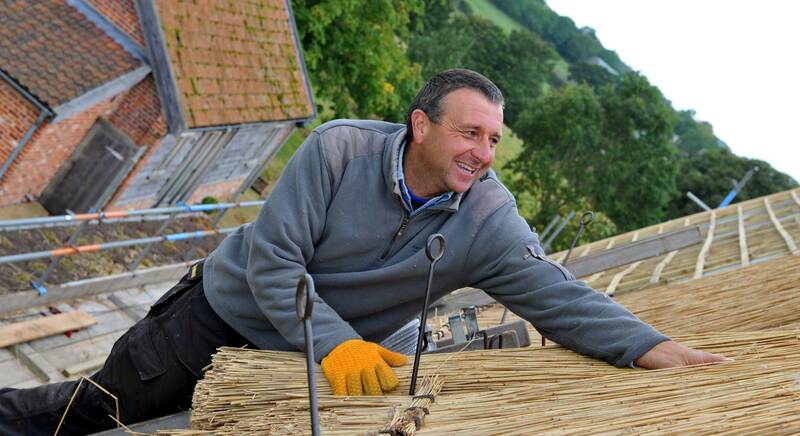 David Rackham epitomises the dedication and skill that you expect to see from a proponent of the ancient art of thatching. All his materials are sustainable and hand prepared; assembled with skill and panache. 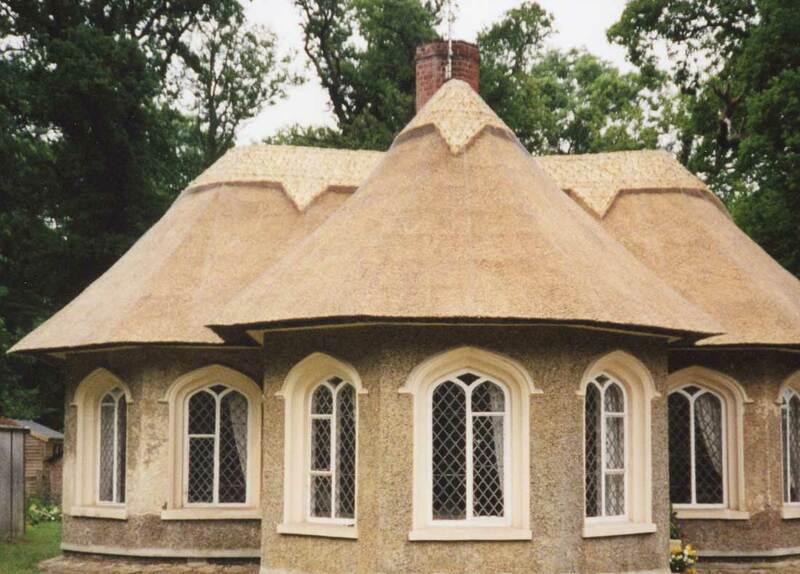 The finished article is splendid indeed: a roof is too small a word for it. What really surprised us was just how neat and tidy it looked close up. For a proponent of an ancient craft, David is a modern young man, polite and courteous and excellent company. He's a good man to have on your roof.